If there is one garment that is both functional and easy to style, then it's a simple tee. In today's article I want to share with you my favorite outfit combinations featuring a lovely tee. 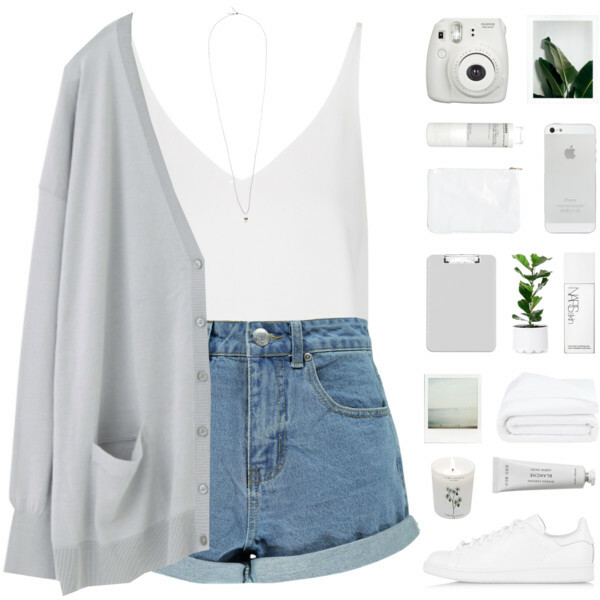 I have an exciting Polyvore fashion sets collection that shows you that T-shirt is always trendy. This top can easily reorganize your wardrobe in awesome ways. You can put an oversized jumper or cable knit sweater over it, or keep things grunge inspired by adding a stylish tartan shirt. I personally love one specific combo that features a basic T-shirt and blazer, result looks simple, yet stunning. The following collection will take your breath away and leave you speechless! I am pretty sure there will be no problem for you to find the one and only look you can easily copy next year. Check out this gallery and let me know your thoughts in the comments below. Grey-pink basic tee looks awesome teamed with black jeans and white slip-ons. Keep it formal, ladylike and modern! 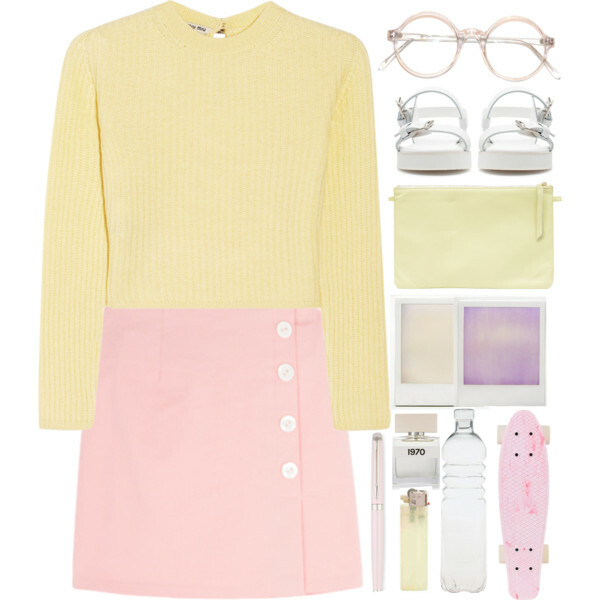 I bring you genius Polyvore outfit ideas featuring formal fashion trends you all can try next 2018. It's no secret, an evening look is a must-have, as you never know where you can be invited, from weddings to cocktail parties and other glam events. That's why it's no wonder why women need go-to garments for formal and semi-formal occasions. However, finding the right clothing pieces can be quite hard and frustrating, that's why I am here to share with you latest formal fashion trends you can follow this year. Here are gathered stunning looks that highlight best features of your silhouette, regardless your body shape, so you don't need to be ashamed of showing your curves and best features. Different outfits emphasize different parts of the body, so you better pay attention to what you want to emphasize. Scroll down to find your favorites. 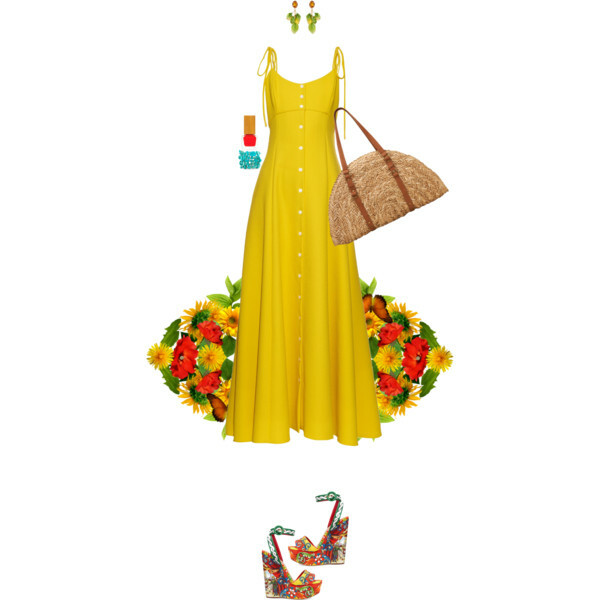 Mustard yellow maxi gown looks damn hot with floral multicolored wedge sandals. Hi my dear fashion lovers! In today's blog post I want to draw your attention to blouses outfit ideas you can easily recreate next 2018. This marvelous top can make you look and feel fabulous. I personally think that every lady who wants to look fashionable and feminine should have at least three blouses in her wardrobe. This elegant top can be worn with a jacket, layered under sweater or worn separately tucked in skirt, shorts, jeans or trousers. I am 100% sure there will be no problem to find a perfect look in this collection. All you need is scroll down your mouse and get inspired. This top can be both casual and formal, but it will keep you look sophisticated and elegant. Anyway, it's time to express your style by choosing your favorite combo. Silvery white blouse looks chic and formal. Try it on tucked in slim high-waisted washed blue jeans. 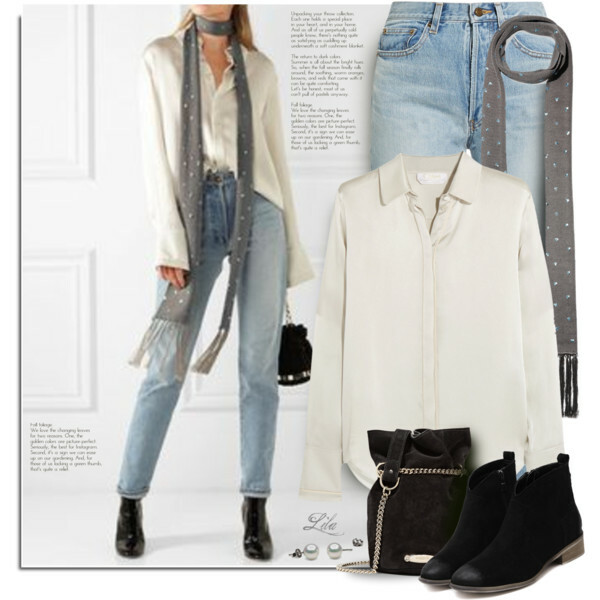 Complete this look by adding white dotted grey long skinny scarf and suede black ankle-boots. My mission for today is to share with you cute casual outfit ideas you can wear next 2018. In this collection I gathered Winter Polyvore outfits that will keep you warm, as well as casual summer street style outfits you can hit the streets during warm season. You are going to see latest fashion trends that will easily update your wardrobe. Of course, winter is all about layering clothes, adding such pieces like woolen hats, scarves, boots that will keep you warm. Summer months is about showing your skin, adding interesting accessories, wearing lightweight layers and comfy sandals. The combinations below are perfect for Winter and Summer days, so why don't you go ahead and check them out? I am pretty sure you gonna find your next outfit here! Scroll down to find out more. 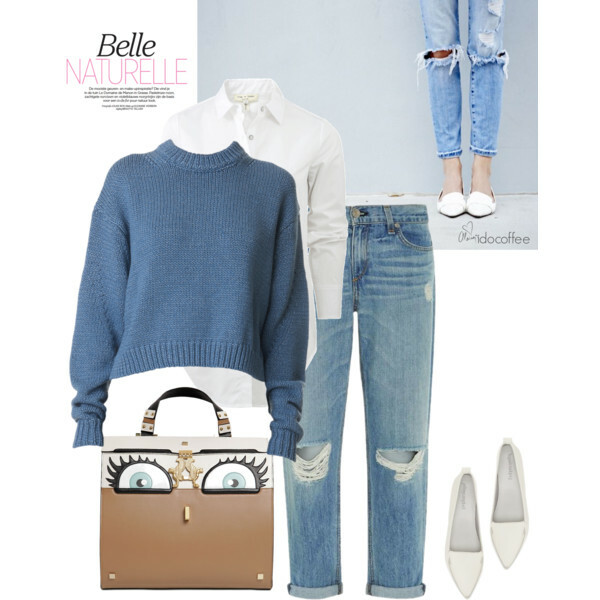 How about this casual outfit for Spring days? We see a grey-blue pullover worn atop white shirt tucked in knee-ripped wahed blue jeans. Complete this look by adding white loafers.